Their party box collections give you everything you need for specific party occasions (showers, birthdays, holidays, etc.) 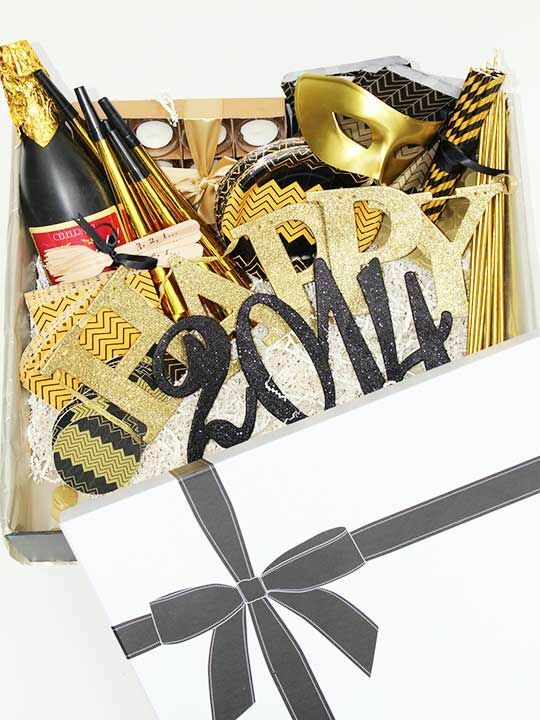 Check out this New Year's Eve Party Box including a banner, balloons, confetti, napkins, champagne glasses and more to make your New Year's Eve party as easy as possible. Their Party Starter Mini Collections have adorable decor and party supplies for any type of occasion. 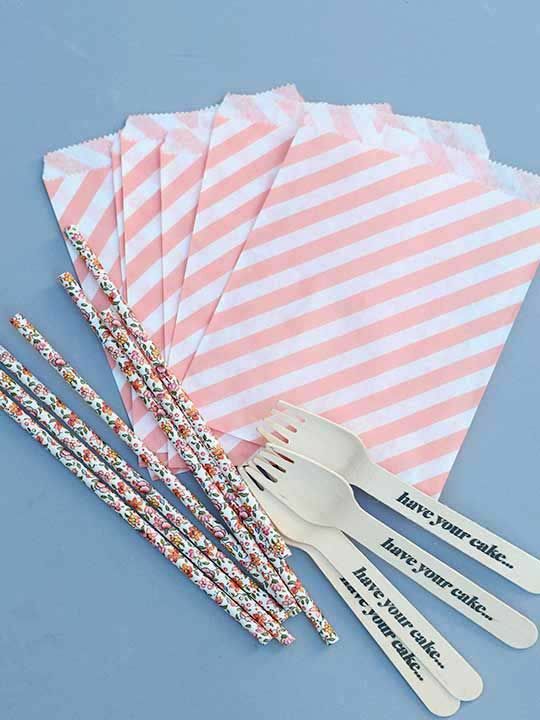 This Have Your Cake Party Starter has big pink balloons, fun straws and cute forks and treat bags that would be perfect for a birthday, shower or any other girly occasion.